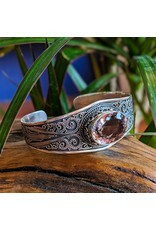 A keen eye will notice the stone in this vintage-style cuff bracelet has too much golden color to be amethyst. This is ametrine, a stone found in Bolivia, in which some parts of the stone are amethyst and some are citrine. 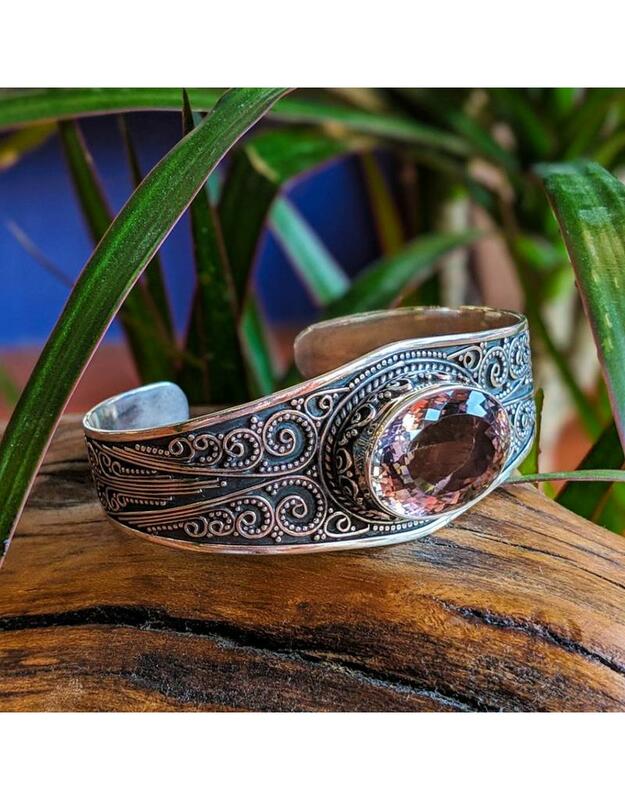 The variance in color is due to a variance in iron oxidation in the quartz, which was caused by temperature variances when the crystal formed. The bracelet measures 67x27mm. The ametrine measures 22x16mm.